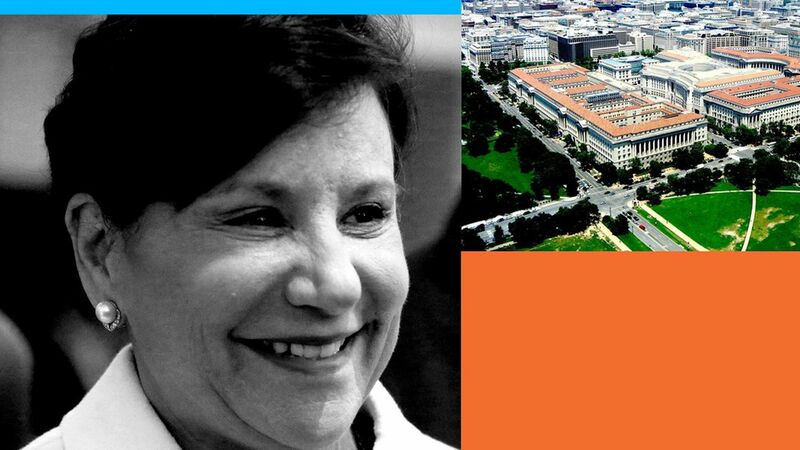 Pritzker has returned to private investment firm PSP Capital Partners, but with a greater interest in new technologies like AI and big data than she had before becoming Commerce Secretary. Her biggest regret from Commerce is the failure of TPP, which she believes would have also been a de facto renegotiation of NAFTA. She doesn't want to talk about her successor's job performance. Pritzker is fully supporting her brother J.B.'s run for Illinois governor, after decades of family strife. I define myself as an entrepreneur and a business builder. Obviously when I went into government I had to resign from everything and be completely divorced from any activities and do whatever the Office of Government Ethics requires. So at PSP we have a team of about 65 people, and we're investors and business builders active in a number of different sectors: Business and technology services, advanced manufacturing and distribution, real estate, food and ag and consumer products. We pride ourselves in being disciplined but also flexible. Our fundamental focus is partnering with management teams and other partners to build businesses for the long haul. "We do all of the above, which is what I mean by flexible. We've done some minority interests in growth companies where we understand the industry and can be value-added, we've done control investments where someone just wants to sell their company. We've done partnerships with other entities where a group of us have taken over a business because each of us brings something to the table. And we do that both in the corporate world and in the real estate world." "When I was at Commerce I got a lot more international experience and I got a lot more exposure to artificial intelligence, big data, cybersecurity, clean energy – sectors of the economy that I'd been less involved in before. So that gives me more of a network and more confidence for our organization to do things in areas where maybe we hadn't done before." 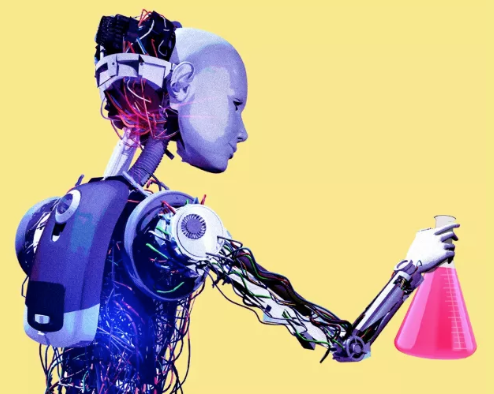 "The rise of automation and AI and the ability to process big data, with globalization – that's created an enormous amount of anxiety among the workforce. We need to make sure our workforce is able to be productive in that fast-changing world. But we live in a competitive economy and any kind of competition can be disruptive. The issue for me is, if you're a business owner, are you about growing opportunity for the people working for you? That's what we're trying to do. Is clean energy disruptive to coal-run power plants? Yes. So then the question becomes, at the policy level, what are we doing to help those folks who are in old energy sectors migrate to new opportunities. Like what they were doing in Houston; as the oil and gas industry was falling, they were retraining workers for the petrochemical industry." "There are a few things I'm really proud of. We created something called Select USA, which is the first effort by the U.S. at the federal level to encourage direct foreign investment into the country, which helped facilitate tens of billions of dollars of direct foreign investment. We also created the first ever digital agenda... and led the effort to renegotiate the EU-U.S. safe harbor into what's known as the Privacy Shield. Plus our international engagement, whether working with Mexico to literally build bridges not walls, or with India to make our commercial relationship the same as our strategic relationship, or even working to normalize relations with Cuba (or as much as possible under the embargo)." "Not getting the Trans Pacific Partnership through Congress. I worked my entire 3.5 years on that project and I think it is absolutely in the best interest of both the average American and American business, and I think that embracing multilateral trade agreements where the U.S. can shape trade in the 21st century is really valuable. TPP, in essence, encompasses a renegotiation of NAFTA...The thing that was so critical in TPP was the focus on things like labor standards, environmental standards and intellectual property protection ― making rules of the road for the digital economy. To me, NAFTA 2.0 is a subset of TPP." Did you know Wilbur Ross? "No, I met him during his process of confirmation." Care to share thoughts on his performance so far? If Trump asks, should CEOs serve? "Each one of those situations is something people have to discern for themselves. The job I had with the opportunity to serve the country as a whole was an honor and very fulfilling. It's very important for civic and business leaders to engage with government. We're in a time of rapid change, and government needs advice and insight. It's why we take public comment before we put rules and regulation in place, and you will learn by interested parties – and possibly affected parties – the implications about what you're contemplating doing, so engagement is very important." "I don't think it's an either/or. Hotels play an extraordinarily important role, as does Airbnb. And the fact that Airbnb has unlocked asset value for homeowners and property owners and facilitated more travel is good... But hotels are used for different purposes. You're not going to hold a convention in someone's living room." "I've formally endorsed my brother and I'm 100% behind him becoming governor."